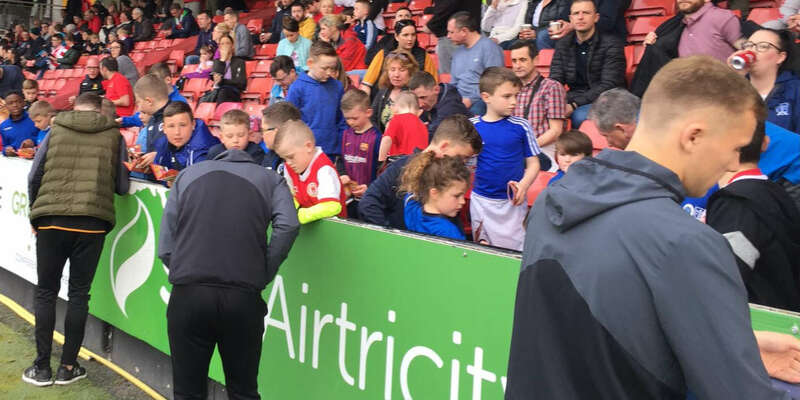 Brendan Clarke; Ger O’Brien, Sean Hoare, Ken Oman, Ian Bermingham; Greg Bolger; Conan Byrne (Chris Forrester, 90+3), Keith Fahey, Killian Brennan (James Chambers 85), Mark Quigley; Christy Fagan. Dean Delany; Derek Pender, Dave Mulcahy, Aidan Price, Steven Beattie; Kevin Devaney, Roberto Lopes, Eoin Wearen, Karl Moore (Paddy Kavanagh 56); Dinny Corcoran, Jason Byrne. 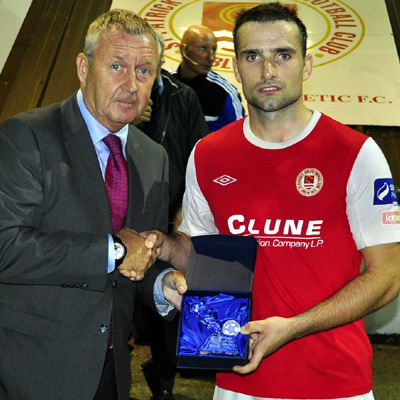 Two goals from Christy Fagan helped St Patrick's Athletic to a 3-2 win against Bohemians as they edged through to the semi-finals of the FAI Ford Cup. Despite a good start in which they took the lead, Bohemians had little answer to livewire striker Fagan, who on another night might have had a hat-trick. 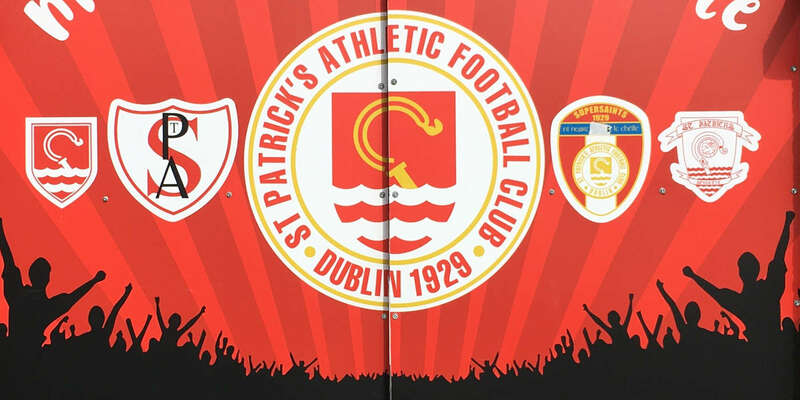 St Pat's appeared to be cruising at 3-1 up, but midfielder Greg Bolger's dismissal in the 68th minute reinvigorated the Gypsies. Aidan Price headed home a Kevin Devaney corner in the 81st minute as Liam Buckley's ten- men had to dig deep to make the last four. Bohemians enjoyed the better start with Jason Byrne's glancing header from a Karl Moore cross going just wide on eight minutes. Their passing sloppy, St Pat's struggled to gain control as Bohemians posed questions on the counter-attack. St Pat's defender Sean Hoare had to make a fine tackle on Dinny Corcoran, but the home side were exposed down their left flank in the 20th minute. A sublime ball from Devaney put Derek Pender in on the overlap and the right-back finished superbly, dinking the ball delightfully over the advancing Brendan Clarke. That stirred a positive response from St Pat's and they were level within three minutes. A timely tackle at full stretch from Price nicked the ball off the toe of Fagan a minute later as St Pat's gained the initiative. Bolger and Mark Quigley then carved the visitors open to get Keith Fahey in on goal and force Dean Delany into the first significant stop of the game. 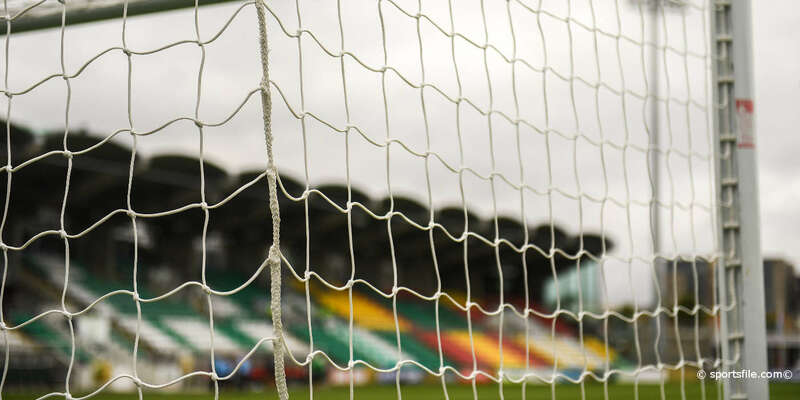 Some Quigley cleverness worked Delany further on 34 minutes, the winger flummoxing Roberto Lopes before hitting a 20-yard right-foot shot that the Bohemians keeper stretched to tip over the top. A piece of guile from Fagan brought about Saints' lead-goal three minutes into the second half. The striker cleverly won a free-kick against Bohemians' skipper Dave Mulcahy some 25 yards out. Brennan brilliantly lifted the ball over the wall with his left foot and into the right-hand corner of Delany's net. Fagan then all but appeared to seal St Pat's passage 10 minutes later. Played in by Conan Byrne, Fagan's close-range shot had the sting taken out of it by Delany, but the ball spun up and over the keeper and into the net. But the pendulum swung Bohemians' way when Bolger was sent off for his second booking on 68 minutes. Clarke had to make the save of the night seven minutes later as he somehow adjusted to push Eoin Wearen's deflected shot around the post. Three minutes later, Clarke was there again to get down well to hold Byrne's low drive. Price then headed in Devaney's corner to provide a grandstand finish. Try as they might, Bohemians couldn't find an equaliser as St Pat's defended well to scrape over the line.